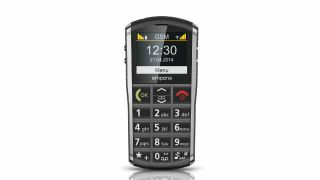 Emporia Telecom has announced four new mobile handsets at MWC 2014 that get physical by bringing tactile buttons back from the wilderness. The company, which services and sells phones for the 60-plus generation, aims for orientation and simplicity over features with its new emporiaEUPHORIA, emporiaGLAM and emporiaPURE handsets. The news may be also welcome to those in business fed up with fumbling to call contacts and type out longer messages and emails, as an accompanying survey found. According to the survey, almost 40 per cent of over 40s asked by the telco said that they would prefer to remain with a traditional button phone rather than move on to a touchscreen. More than one in four found it difficult to navigate and write messages on newer touchscreen phones while 30 per cent said they often misdial. Emporia has also announced a new charging device, the emporiaCONNECTOR, and tablet versions of the support service emporiaME. The new handsets from Emporia combine both touchscreen and physical buttons, in the hope of giving users the best of both worlds. Pricing and availability has not been disclosed. A physical keyboard was one of the key reasons for the runaway popularity of BlackBerry handsets among business people a decade ago.